Axis Communications has introduced Forensic WDR, an enhanced Wide Dynamic Range (WDR) method that focuses on achieving high forensic value, in a number of new cameras. WDR is the term commonly used for the art of balancing both very dark and very bright areas in a scene. It is also known as HDR (High Dynamic Range). In the surveillance industry, the aim is to capture the forensic details at all times. Until now, the WDR methods on the market have not been able to add sufficient forensic value to ultra-high resolution cameras or surveillance scenes that feature a significant amount of movement. In launching its Forensic WDR, Axis has addressed both issues in several new cameras. The new AXIS P32 models offer cost­efficient cameras that require a minimum of effort to install. These fixed domes deliver outstanding video performance with multi-megapixel resolution in full frame rate up to 4K, featuring Forensic WDR, OptimisedIR and Zipstream. 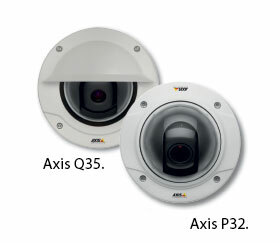 The new AXIS Q35 cameras offer a comprehensive feature set, including power redundancy. Electronic image stabilisation and the IK10+ rating that makes them ideal for harsh environments. They address the need for monitoring in multi-megapixel detail at full frame rate, including Forensic WDR, Lightfinder, OptimisedIR and Zipstream. For more information contact Axis Communications, +27 (0)11 548 6780, sasha.bonheim@axis.com, www.axis.com.